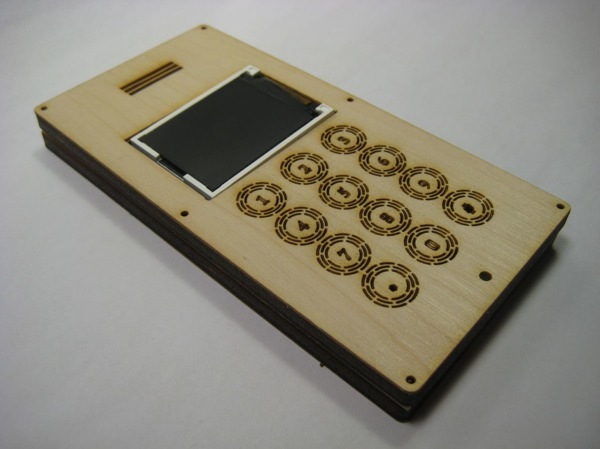 DIY Cellphone « Adafruit Industries – Makers, hackers, artists, designers and engineers! 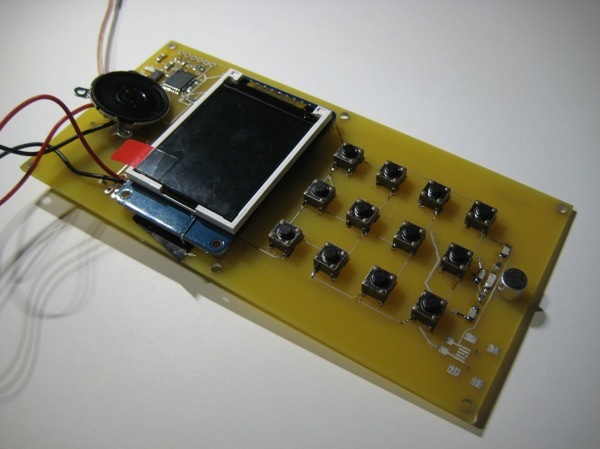 High-Low Tech – DIY Cellphone. The display is the Adafruit color 1.8″, 160×128 pixel, TFT screen on a breakout board. Who cares about customizing your phone when you can MAKE a custom phone? Nice project, although I would have chosen a more DIY compatible module like the Simcom SIM900D (something) or the smaller SIM700DZ (or something). From my experience the main problem actually is power for the GSM module. You need a fairly low impedance source to be able to reliably supply enough power for those 4 amp surges. The voltage may (according to the datasheet) only drop 200 mV or so. That’s 50 mOhms. However it you run it at the maximum voltage (4 Volts) it’s more forgiving. What can solve the problem is that most (if not all) GSM-modules have a built in charger for Lithium Ion batteries, so you can use those as a power source. What I’d do with such a device would be a terminal to my computer at home. Those GSM modules often have an integrated TCP/IP stack.